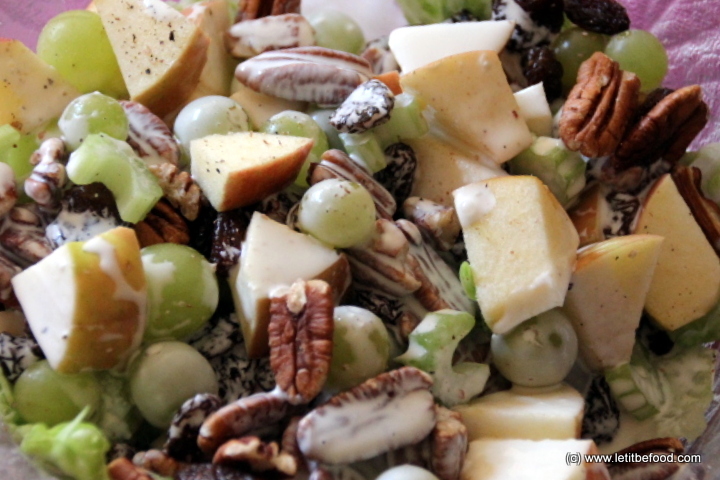 This is a delicious and simple salad, inspired to a degree by the Waldorf Salad. 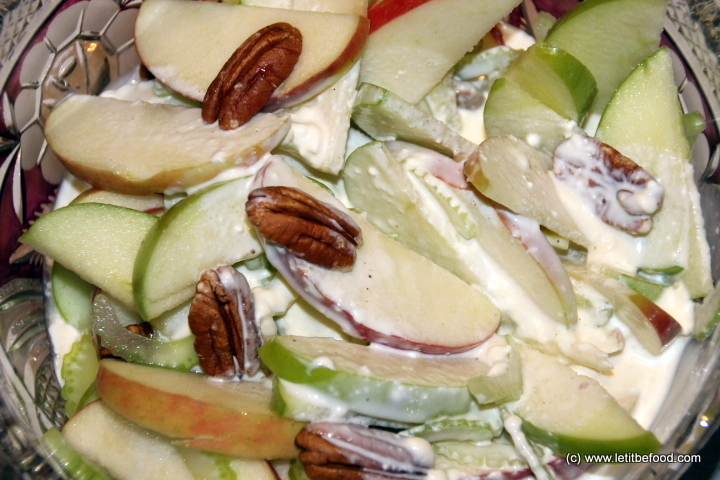 Please click to see the Apple and Pecan Salad recipe in full. 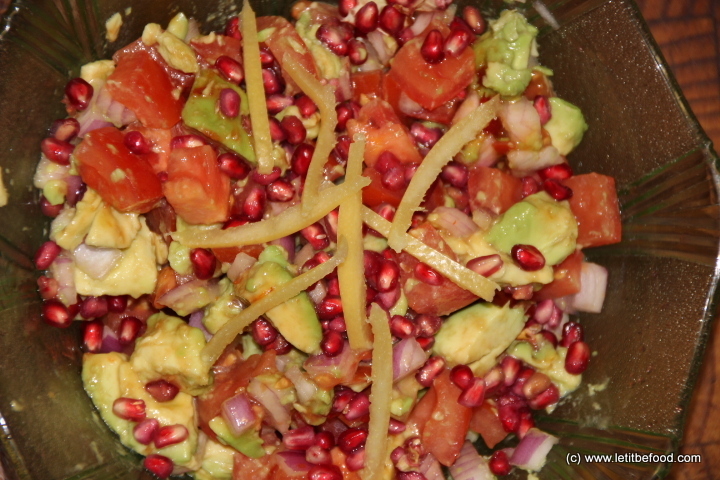 This salad is very popular in our house and it goes with so many different dishes. 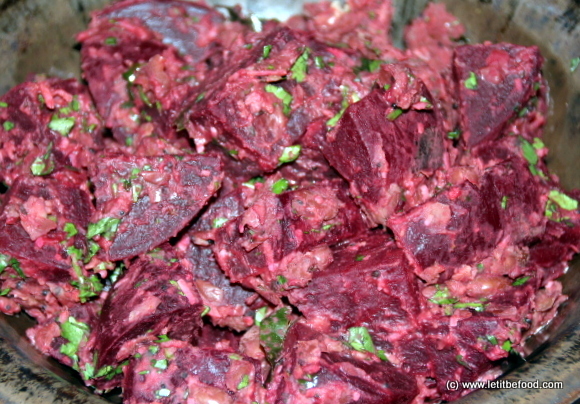 I personally like beetroot and mint salad with a red meat dish and particularly when it is a barbecue. 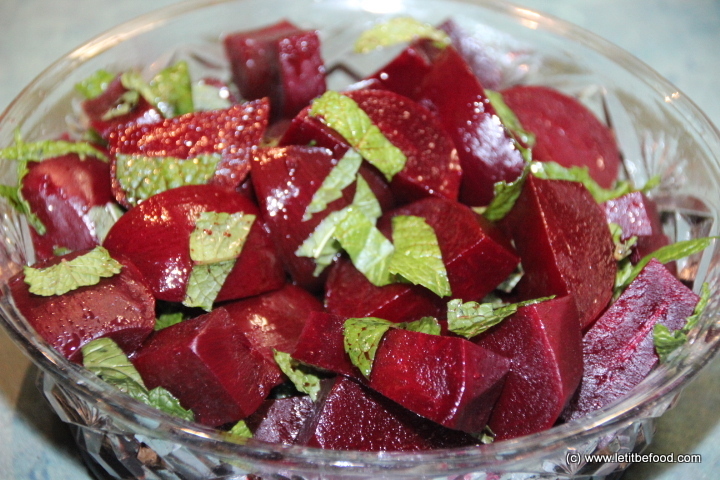 Click to see how Beetroot and Mint Salad is made. For a delicious accompaniment to many curry dishes click to the full recipe at Beetroot Curry with Red Kidney Beans. I love a good Caesar Salad. They're so flexible. They are a great accompaniment for another meal or a meal all by itself, especially if you add some slightly warm, well-cooked chicken. 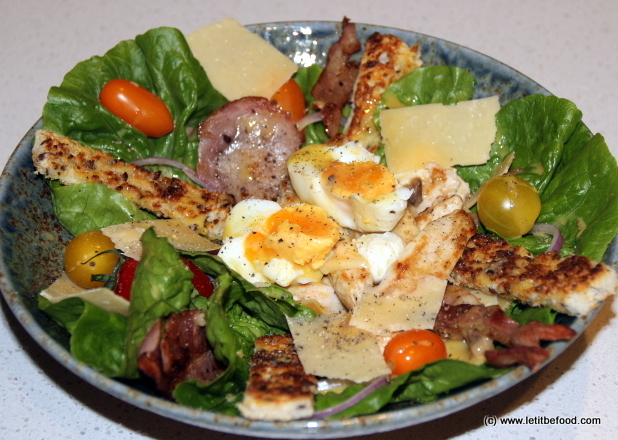 Click for the recipe for Caesar Salad with Chicken. This traditional Indonesian salad is crazy simple and if you get the peanut sauce just right, it is delicious. You can add or subtract different vegetables as suits your taste. 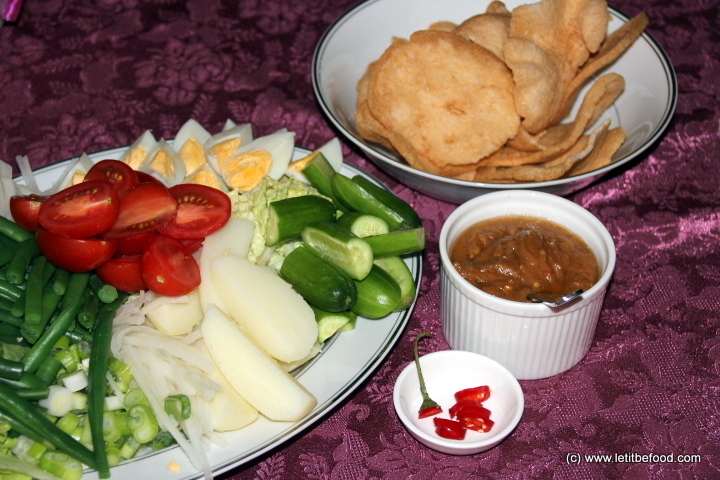 Please click to see the Gado Gado recipe in full. Everyone loves a Greek salad and everyone has their own variation. This simple dish is a great accompaniment to pasta or steak dishes. 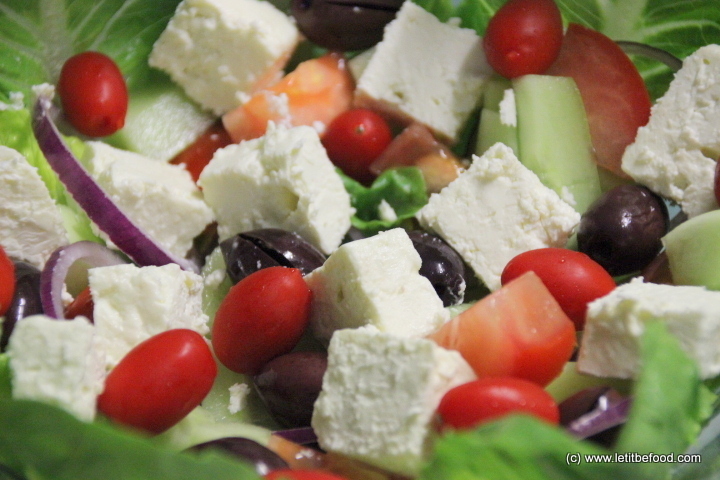 Click to see the Greek Salad recipe and the matching Greek Salad Dressing to go with it. The mildness and delicate flavour of the artichokes work really well in this dish as it doesn’t overpower the subtlety of the prawns. 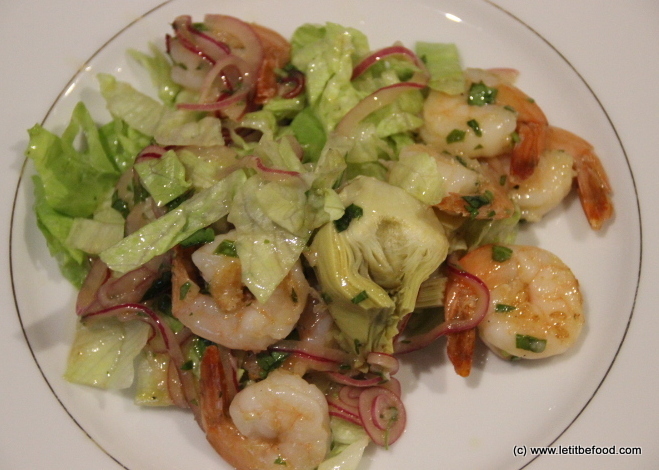 Please click to see the recipe for Prawn and Artichoke Salad. This is a simple and quick salad to go with most vegetarian dishes. The addition of the pomegranate and the preserved lemon add texture and aromatics to an otherwise less exciting dish. Click to see the Preserved Lemon Salsa recipe. This dish was inspired by Jamie Oliver’s San Fran Quinoa Salad which I discussed here. The intention was to provide a tasty, healthy entrée while using up some excess ingredients the day before shopping day. 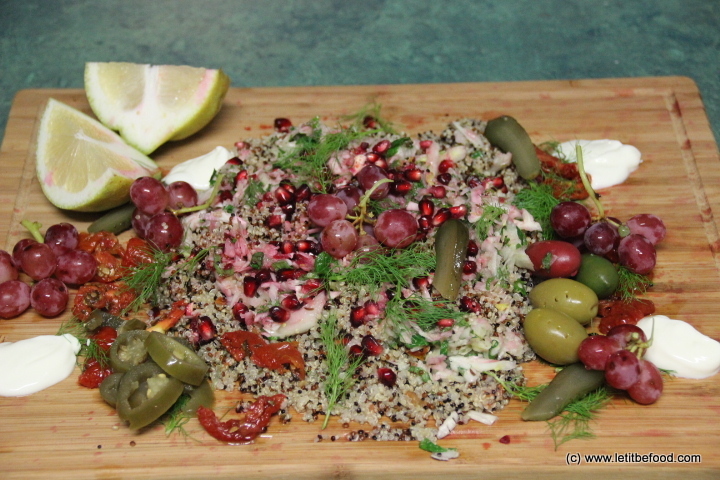 Click to see the Quinoa Antipasto recipe. This is a really quick and simple salad to go with almost anything. 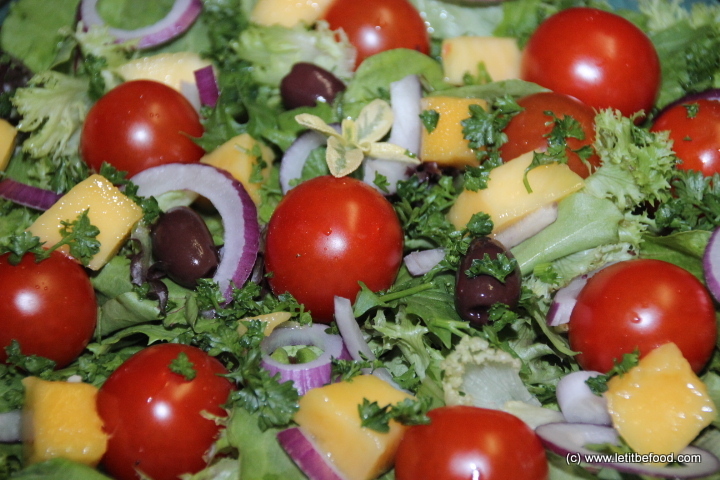 Check out the Simple Garden Salad and the accompanying Simple Salad Dressing here. This dressing is very versatile and very simple to make. 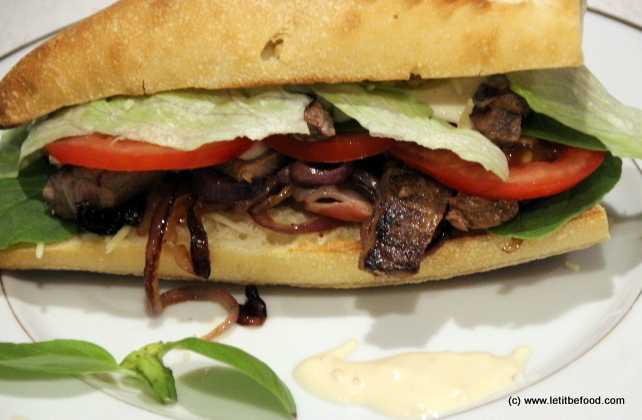 Please click to see the Steak and Onion Salad with Horseradish Dressing recipe in full. This salad is quite straight forward although I did wind up with a surprisingly large amount of washing up. 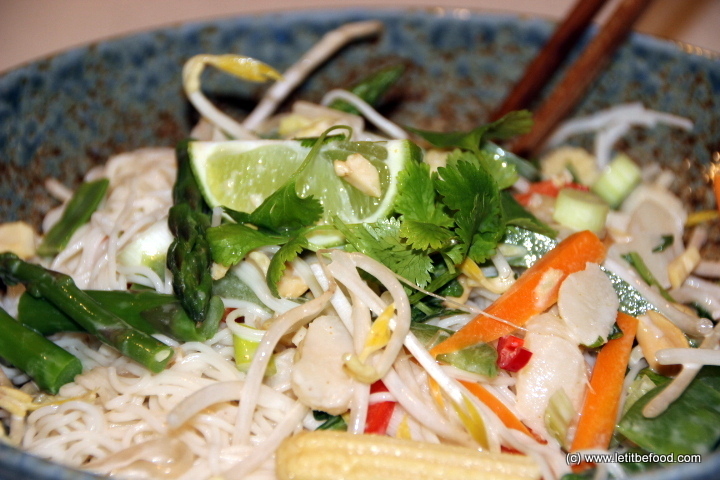 Click through to see my Thai Noodle Salad recipe.